New Delhi: After grilling Robert Vadra and her mother Maureen for hours, the Enforcement Directorate (ED) attached Vadra's assets worth Rs 4.62 crore on Friday, not satisfied by the answers of the duo. According to sources in the agency, the assets that were attached by ED had been purchased. They belong to Skylight Hospitality Private Limited, a company allegedly linked to Vadra. 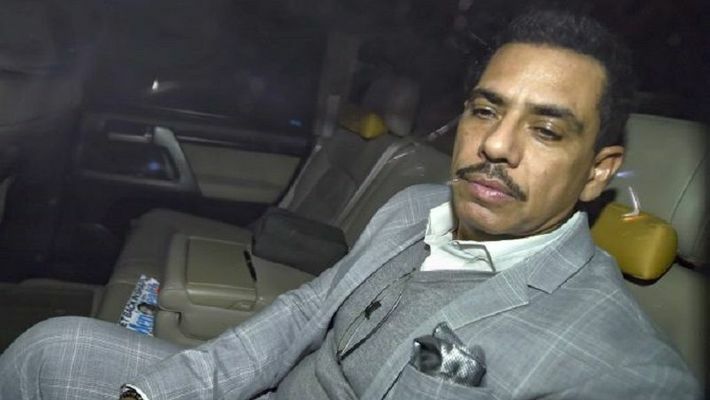 “The attached assets include movable assets valued at Rs 18,59,500 belonging to four individuals and one immovable property situated at 268 Sukhdev Vihar in New Delhi valued to the tune of Rs 4,43,36,550 owned by Robert Vadra’s company Ms Skylight Hospitality (P) Ltd (now LLP),” ED said. Vadra is facing marathon rounds of questioning by the ED in cases related to properties purchased abroad through kickbacks from a government deal. Manoj Arora, his close aide, is being tried in a money laundering case related to a property in London. Earlier, Arora had told a court through his lawyer, since Robert Vadra is his employer, he had to name Congress president Rahul Gandhi’s brother-in-law. The Rajasthan High Court had last month ordered Vadra and his partners in Skylight Hospitality Private Limited, including his mother Maureen Vadra, to appear before the ED on February 12. They were asked to explain his stand on the money laundering allegations by the firm. There is another case related to a land scam in Bikaner for which Vadra and her mother were grilled by the ED in Jaipur. Vadra's wife Congress general secretary Priyanka Gandhi Vadra had accompanied them to the probe agency's offices in Delhi and Jaipur.